He drew attention to the inferior status of women within caste groups. “Castes In India: Their Mechanism, Genesis and Development”, a research paper in which Ambedkar seeks to establish caste as a product of sustained endogamy, was written in 1916 at Columbia University for the anthropology seminar of Dr AA Goldenweiser and eventually published in the Indian Antiquary in 1917. In 1913, assisted by a scholarship from Maharaja Sayaji Rao of Baroda, Ambedkar had enrolled as a student in the faculty of political science at Columbia University, United States. In this essay, Ambedkar critiques the essentialisation of caste and seeks to establish its knowability – as a theoretical and practical problem. Specifically, he seeks to understand intermarriage restrictions, social relations, and the re-rooting of caste structure in new spaces. In contrast to the anthropological equation of caste to race in his time, Ambedkar counted cultural homogeneity, notwithstanding racial difference, among India’s distinctions as a nation. So the problem, as it were, was to explain exactly how this homogenous culture splintered into neat, impervious parcels, or how caste evolved. “The Rise and Fall of the Hindu Woman”, published in the journal Maha Bodhi in 1951, was Ambedkar’s response to an article published in the magazine Eve’s Weekly that blamed the Buddha for the fall of women from the “golden position”. Perhaps alluding to the nationalist myth of the Vedic woman, Ambedkar claims to see a pattern in such indictment and urges an examination of the roots of the repeated charge against the Buddha. The text lists three oft-repeated accusations against the Buddha with regard to women. Firstly, the Buddha forbade all interaction with women. This refers to a dialogue between Buddha and Ananda in Chapter V of the Mahaparinibbana Sutta. Secondly and thirdly, Buddha opposed women’s demands to take parivraja (ordination) and when he did permit the same he also subordinated the Bhikkhuni Sangha (community of women disciples) to the Bhikkhu Sangha (community of male disciples). The text attempts a rational rebuttal of these allegations against the Buddha by analysing how codification distorts oral traditions. Ambedkar presents textual evidence that contradicts the charges, and makes historical comparisons between the Buddha’s position on women and women’s positions before and after the rise of Buddhism. The last section of the essay, which borrows heavily from his earlier, then unpublished text, “Women and Counter-Revolution/ Riddle of Women”, compares the rights of women in the pre-Manu and Manu eras, and emphasises the latter as the period that initiates the subordination of women. Specifically, he calls attention to Manu’s description of women as immoral, disloyal, and impure that is then used to justify his injunction against their freedom under all circumstances. 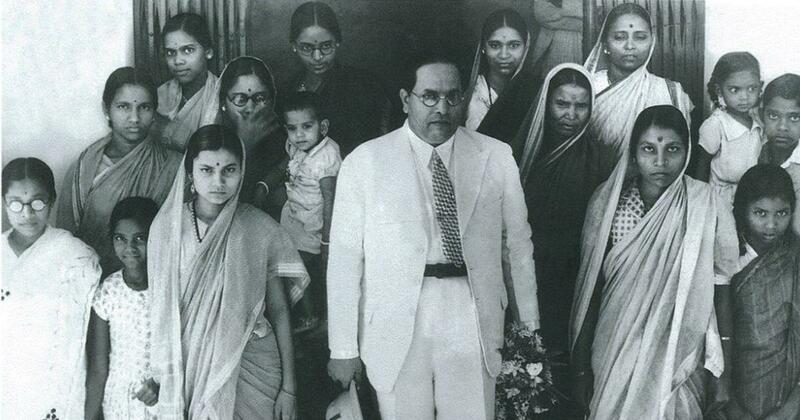 Ambedkar contends that Manu’s rulings were a reaction to the freedom women enjoyed in the Buddhist period. Manu’s design of ideal womanhood, which was based on exalting the husband, or the pativrataideology, reinforced the gendered contours of the Brahmanic counter-revolution. Prior to Manu, this ideal had been only a theory of the Brahmans. Manu, claims Ambedkar, made the ideal and the related practices – such as denying funerals to women joining heretic sects and those born of mixed unions – state law. In conclusion, Ambedkar views Manu’s turning of what were specifically Brahmanic ideals for women into state law in terms of a defence mechanism. Manu’s laws should be read as a preemptive response to the potential threat to Brahmanical religion – if women and Shudras turned to Buddhism for succour. In the late 1980s, against the backdrop of rising Hindutva politics, Uma Chakravarti’s pertinent essay “Whatever Happened to the Vedic Dasi?” brought under scrutiny the hyper-visibility of the Aryan woman and disappearance of the woman in servitude (Dasi) in nineteenth-century Hindu liberal and conservative discourses. More recently, feminist historians such as Kumkum Roy have drawn attention to the resurgence of the Vedic woman in writings concerning gender relations in early India. These writings by feminist historians call for further feminist engagement on the many constructions and reconstructions of the myth of the Vedic period as a golden age for women. Ambedkar’s history of revolution and counter-revolution in “The Rise and Fall of the Hindu Woman”, which sets the nationalist construction of the “Golden Vedic Age” theory on its head, justifiably should be regarded as one of the proto-feminist approaches to writings on ancient India. At the end of this essay, Ambedkar states that those seeking the truth will not place the blame for the downfall of women on the Buddha but on Manu. Indeed, in the past decade, in the aftermath of the implementation of the recommendations of the Mandal Commission and the assertion of Dalit feminism, feminist scholarship has sought to unravel the “truth” of Brahmanical patriarchy and therefore taken Manu to task by exploring the possibilities Buddhism offered to women. A feminist reclamation of “The Rise and Fall of the Hindu Woman” would lead to a fruitful discussion between Ambedkar’s Buddha and contemporary feminist positions on the question of whether Buddhism provides a viable alternative to Brahmanical patriarchy. Excerpted with permission from Against the Madness of Manu: BR Ambedkar’s writings on Brahmanical Patriarchy, selected and introduced by Sharmila Rege, Navayana. The original text in the book contains additional footnotes and sources. Sharmila Rege (1954-2013) was a sociologist who headed the Krantijyoti Savitribai Phule Women’s Studies Centre, University of Pune. She is the author of Writing Caste/Writing Gender: Narrating Dalit Women’s Testimonies.